California courts generally do not enforce non-compete agreements because the agreements can be an inappropriate restraint on trade and can impact an employee’s ability to make a living after leaving a job. California is one of two states with a broad ban on non-compete agreements, along with North Dakota. Unfortunately, on a national level, the use of non-compete agreements by employers is dramatically increasing and non-competes are showing up in all different types of jobs where they were once restricted only to a limited number of professional positions. This trend is disturbing on many levels because it unfairly restricts the rights of people to leave an employer since they may face difficulty getting another job in the future. 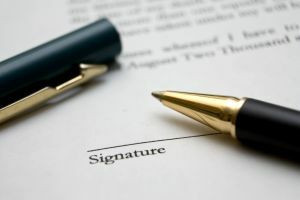 It is also an important reminder to employees that they need to understand employment agreements before they sign them. Before you sign any kind of employment contract and if you believe your employer is being unfair in trying to hold you to contract provisions, you need to speak with an Orange County employment law attorney. According to the New York Times, non-compete agreements are becoming disturbingly common for many different types of jobs where there is no legitimate justification for an employer prohibiting a worker from going to a competitor. One example given was a 19-year-old college student who had worked as a camp counselor for three summers. She was hired at another camp, but that camp withdrew its offer when they found that her 2013 summer employment contract prohibited her from working at a competing camp within 10 miles of the camp’s more than 30 different locations. The girl’s father testified before state lawmakers in Massachusetts that his daughter had no idea the non-compete clause had even been included in her contract. Non-competes are also appearing in contracts for investment fund managers, yoga instructors, pest control workers, textbook editors, entry-level social media marketing jobs and a host of other professions. Some college students are even being asked to sign non-compete agreements as a condition of internships. In California, Business and Professions Code section 16600 reflects a “strong public policy of the State of California” in protecting businesses so that they can hire employees as they choose. As a result, a non-compete will be enforced only in limited situations when the agreement is reasonable. This could include, for example, situations when a business being sold includes the goodwill of the business. It could also include situations when a partnership or a limited liability company is dissolved. Because California courts are very restrictive in when non-competes would be enforced, the types of non-competes in non-traditional professions that the New York Times is talking about would not be considered valid in the state. Still, workers need to be aware of this trend as yet another potential way for employers to take advantage of their workers. When you sign any type of employment contract, there may be provisions in it that restrict your rights. Be sure you know what you are agreeing to before you sign. Employment lawsuits can be filed with assistance from the Nassiri Law Group, practicing in Los Angeles, Riverside, and Orange County. Call 714-937-2020.